At formnext 2018, held last week in Frankfurt, Germany, GE Additive announced that its first Concept Laser M Line Factory systems will be delivered to customers during the second quarter of 2019. Since GE Additive's acquisition of Concept Laser in December 2016, the M Line Factory's design architecture, system and software have undergone extensive review and redesign in line with established GE processes and beta testing with selected customers. The idea is to physically decouple the machine units used for part production and for setup and dismantling processes. These tasks can now be carried out in parallel and physically separately from one another thanks to the modular architecture. As a result, current stoppage times for the machines for manual processes such as supplying or exhausting metal powder are reduced to a minimum. This will deliver considerable time and cost savings, according to GE Additive officials. On the formnext 2018 stage, ExOne debuted the X1 25Pro, described by company officials as positioned to address the needs of metal-injection-molding (MIM), powder-metallurgy and manufacturing customers seeking a larger platform for producing reliable parts in a production environment. The new machine allows part production from a variety of materials including 316L, 304 L and 17-4PH stainless steels; Inconel 718 and 625; M2 and H11 tool steels; cobalt chrome; copper; tungsten carbide-cobalt; and others. Using the company's patent pending MIM powder-processing-machine technologies, the X1 25Pro allows customers of ExOne's Innovent+ platform to scale up to a mid-sized production platform using the same powder metallurgy standard powders as they are currently using. Metal 3D printing is revolutionizing manufacturing, but it takes more than a 3D CAD model and a good printer to get a successful print. CAD solutions don't include the proper tools for a file to be ready for additive manufacturing. Therefore, sending a CAD file directly to print typically fails. 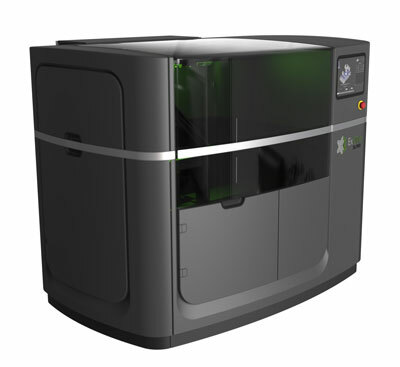 A dedicated and integrated Metal AM software handles all preparation and optimization actions required for a printed part to meet the desired CAD model specifications and for you to achieve a successful print. 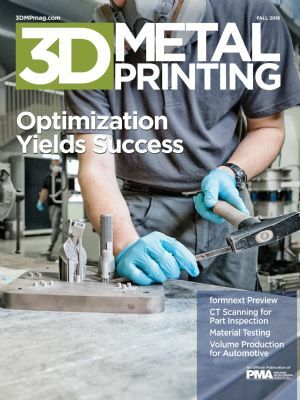 How the correct software solution can help the profitability of your metal additive manufacturing business. The benefits of a streamlined workflow using an integrated software solution versus multiple independent software solutions. The peer-to-peer resource for 3D printing and additive manufacturing discussions, news, and product information just got a whole new look. 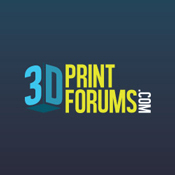 See it now and register for your free membership at 3Dprintforums.com to get the inside scoop and latest trends. 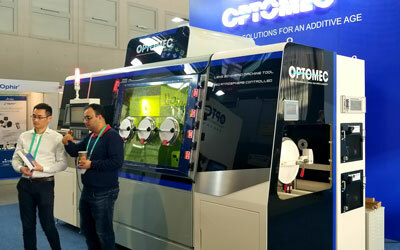 Optomec used formnext 2018 to showcase its newest hybrid machine tool system, featuring larger build volumes and higher power capabilities for metal additive and hybrid manufacturing. The Lens 860 Hybrid Controlled Atmosphere (CA) system is the latest addition to the company's Machine Tool series, which integrates Lens 3D metal-printing technology with vertical-machining platforms. The new machine promises simultaneous five-axis metal printing and a single tool path for both additive and subtractive processes. Besides an 860 by 600 by 610-mm work envelope, the machine comes with a hermetically-sealed build chamber that maintains oxygen and moisture levels below 10 ppm for processing reactive metals, such as titanium. It can be configured with closed-loop controls and a high-power 3-kW fiber laser, making the system ideal for building, repairing, coating and finishing mid- to large-sized parts with superior metal quality, according to company officials. 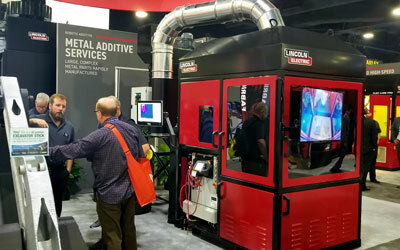 Just prior to formnext, at FABTECH 2018 in Atlanta, GA, Lincoln Electric revealed big news to 3DMP: The company is leveraging its arc-based metal-additive process to enter the services arena. In 1Q 2019, the company plans to open a center near its Cleveland, OH, headquarters to produce parts via AM for customers. Stay tuned, as we expect more details soon. Video: What is Your AM Story? At formnext 2018, industry professionals were invited to share how and why working in AM worked for them. 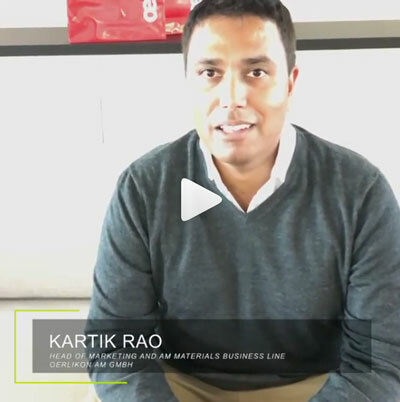 One is Kartik Rao, head of marketing and the AM materials business line at Oerlikon AM GmbH. Here's his story. At formnext 2018, America Makes and the American National Standards Institute (ANSI) presented their Standardization Roadmap for Additive Manufacturing (Version 2.0). Developed by the America Makes & ANSI Additive Manufacturing Standardization Collaborative (AMSC), with contributions by 320 individuals from 175 public- and private-sector organizations, the roadmap represents an effort to coordinate and accelerate the development of industry-wide AM standards and specifications. The AMSC roadmap describes the current and desired future AM standardization landscape, including published standards, those being developed and those that are needed, according to Jim McCabe, ANSI senior director of standards facilitation. The document identifies 93 "gaps" where no published standard or specification currently exists to address a particular industry need. He notes that many of these gaps also require additional pre-standardization R&D. From the introduction of metal AM in the 1990s, when R&D efforts first birthed systems that could work with such materials, the technology has undergone a dizzying evolution. Today, we sit at the precipice of another leap forward in metal AM: volume production. Find out how AM has advanced its higher-volume proficiency in Lou Kren's Editorial, published in the Fall 2018 issue of 3D Metal Printing. Feature articles in this issue back up these claims. A case study illustrates how metal AM overcomes traditional manufacturing challenges to deliver new solutions for the traditionally conservative valve industry. This nondestructive-testing method is ideal for inspecting complex parts and internal lattice structures. ☉ AM Technology and Knowhow Revolutionize Facial Reconstruction—Advanced software combines with other technology and 3D-printing expertise to help surgeons provide a new lease on life. ☉ Formnext and FABTECH Wrapups—What you've read above is only a sample. See much, much more of what the editors of 3DMP saw at formnext, the AM industry's signature international event, and in the 3D/Additive Manufacturing Pavilion at FABTECH.